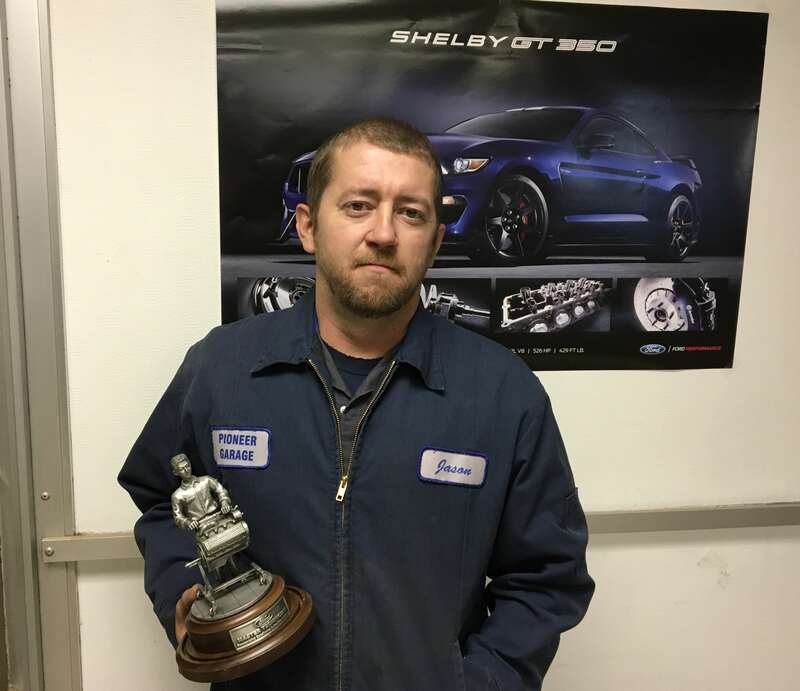 Blog | Highmore, South Dakota 57345 | Pioneer Garage Inc.
(Highmore, SD – November 15th, 2017) Jan Busse Ford is proud to announce that mechanic, Jason Fletcher has achieved Senior Master Technician status, the highest ranking under Ford Motor Company Service. Between online course work and classes in Minneapolis over the past nine years, Fletcher has balanced a full-time workload alongside Ford training to reach what is considered to be the equivalency of a Bachelor’s degree. 1. Replace windshield wipers and fill wiper fluid. Windshield wipers should be replaced every 12 months. Wiper blades are made of rubber and with time, it’s inevitable that they’ll deteriorate. You don’t want to get caught in a freezing rain or snow storm without properly functioning windshield wipers. When refilling your washer fluid, winterize with a 50/50 mix of washer fluid and water. 3. Check your battery. During cold winter months, your vehicle’s engine needs to work harder which puts more pressure on the battery. Don’t get stuck in the cold with a car that won’t start, have your battery checked before it needs to start working harder. 4. Check tire pressure. When roads are slick, your tires can be your best friend. Make sure you have enough tread and consider getting snow tires. If your tread is adequate and you don’t want to replace the tires, simply making sure tire pressure is at the right level can make all the difference. When tires are deflated even slightly, the tread closes up and traction is significantly decreased. 5. Check your brakes. If you need your brakes replaced, now is the time to take care of that repair. Icy and slippery roads always create more driving hazards, so it’s one of the most important times to ensure your brakes are functioning properly. Lastly, keep an emergency kit in your vehicle. Regardless of how safely you drive and how winterized your vehicle is, there’s always the chance that something can happen and you may be left waiting for help in the cold. Having an emergency kit with the proper items might be a life saver. Items could include gloves, boots, a battery booster pack, blankets, flares, a flashlight, and some high energy, non-perishable snacks. Please come see our service department if you need anything done to prepare your vehicle for winter. We’ll be happy to do an inspection and help you with any work that should be done to keep you safe, warm and prepared!